What do you think a fairy would drink? Candy floss water of course! As magical as candy floss water sounds, I never thought it would be a real ingredient. 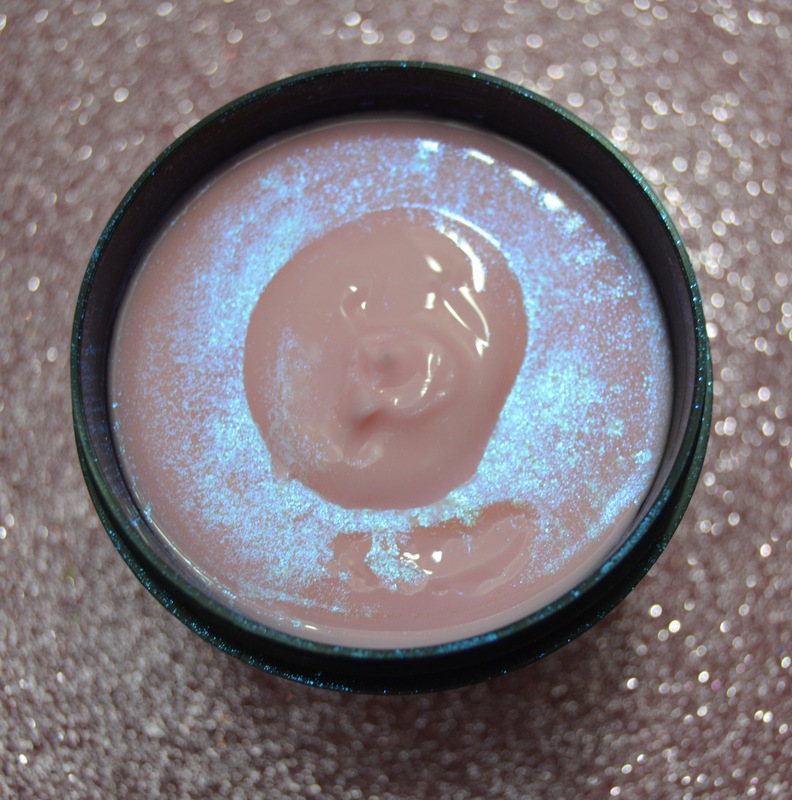 Well it turns out it is and is in fact one of the main ingredients in the Snow Fairy body conditioner. 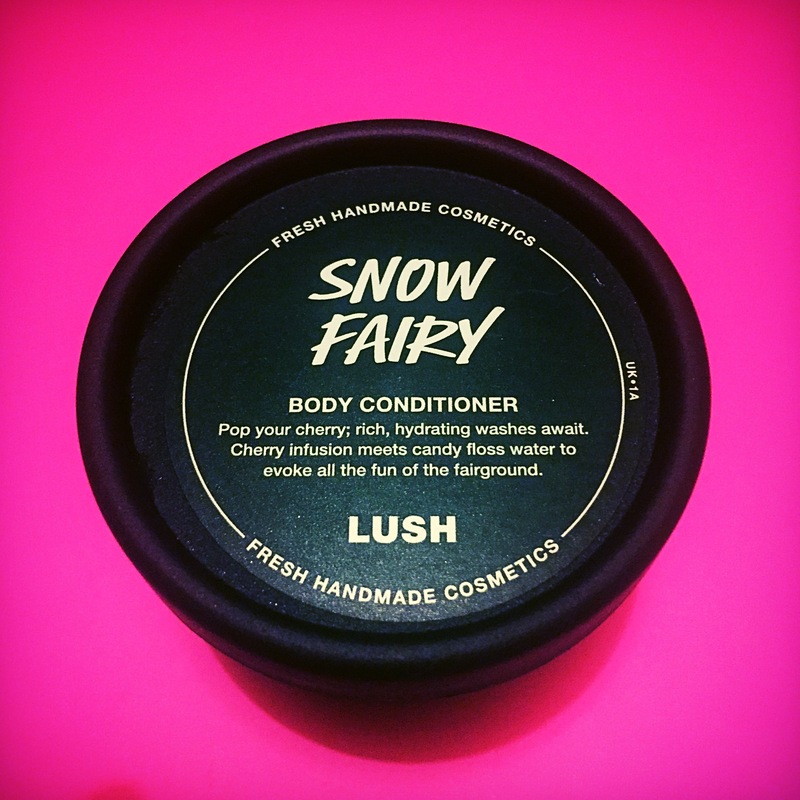 Sharing the same sugary sweet scent as the famous snow fairy shower gel! This body conditioner is a real dream. 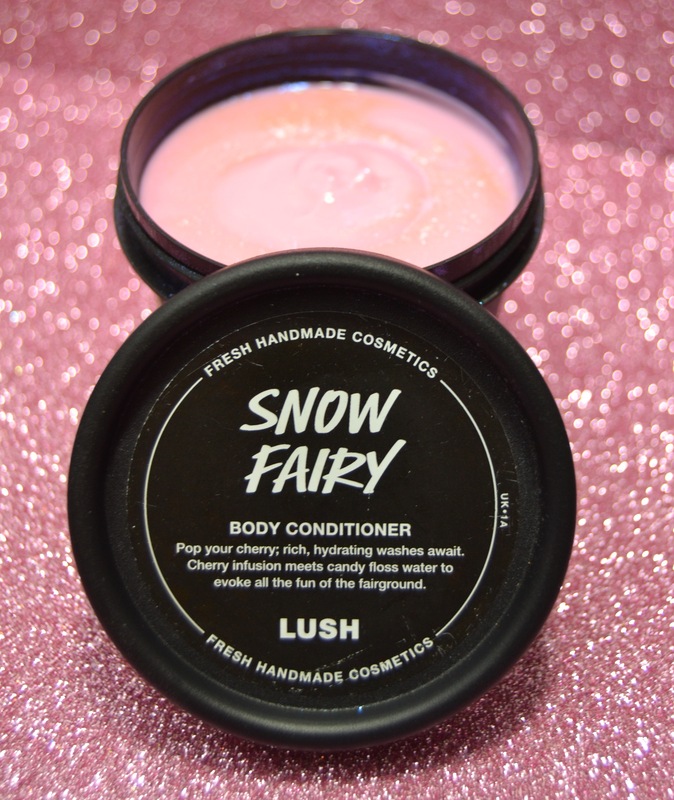 If you have a bit of a sweet tooth or are a big fan of the the snow fairy shower gel you are going to fall in love with this body conditioner. Containing magical candy floss water, cherry infusion and mango butter along with a whole host of other wonderful ingredients, this body conditioner has a sweet candy floss and pear drop scent. Light pink in colour, this little pot looks good enough to eat! However it is much better put to use if put on your skin. Body conditioners are designed to be just like the conditioner that you use on your hair but as the name suggest for your skin. All you have to do is scoop out a nice handful and smooth it onto you skin! Then simply rinse away to leave soft silky smooth and incredible sweet smelling skin. I absolutely love this product. Probably due to my super big sweet tooth and huge love of the snow fairy scent. If sweets scents are you thing I really recommend grabbing a pot, it really is magical. Great post! I love lush! Have never tried this product though , I think I will definitely have to pick one of these up this week!